Elisabetta Docimo – Graduated in Archeology and Cultural Heritage she deals with historical-artistic dissemination, working as an educational operator/professional in museums and cultural associations. At the same time she trains as a gymnastics instructor, a sport practiced since childhood, which leads her to explore more and more the different expressions of the body movement. The approach to the language of dance takes place accordingly. 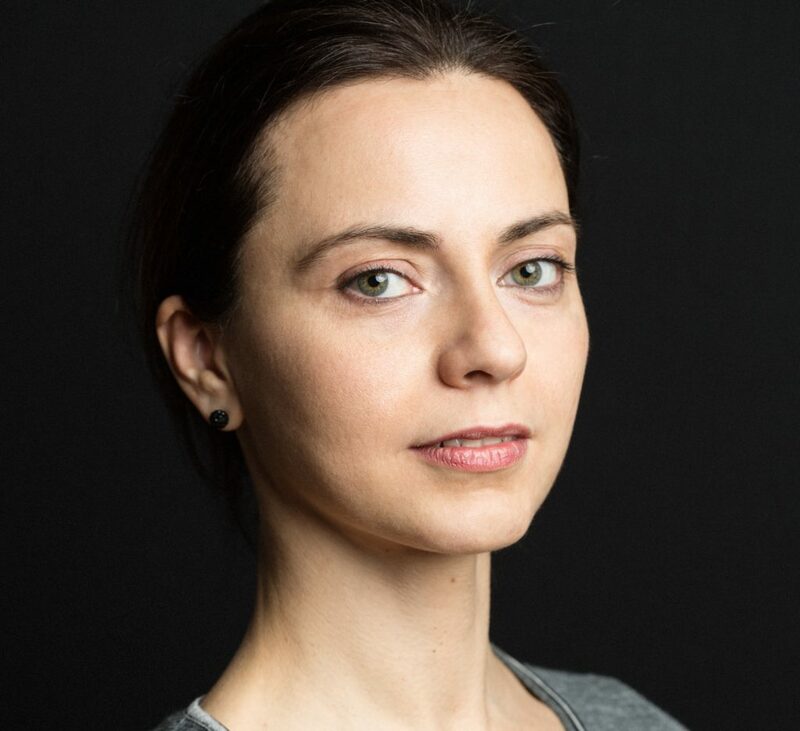 She also studies modern and contemporary dance, she deepens her knowledge with a training course for teachers with Kataklo’ Giulia Staccioli Academy at Susanna Beltrami’s Dance Haus. The connection between athletic movement and expressive gesture is the basis of her research. This interest led her to experiment as a choreographer with a group of former gymnasts working in a continuous dialogue between different disciplines. She participated in projects for dancers promoted by the Opera Festival in Bassano del Grappa, thanks to which she had the opportunity to study with Sara Wiktorowicz, Sharon Fridman and many other choreographers. She currently works as a teacher in the Dance Well project, movement research for Parkinson.